We call this spot Moon Valley. 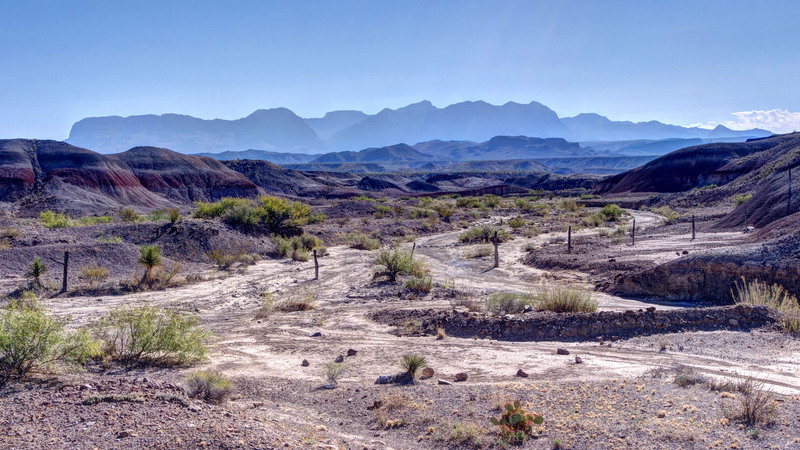 It is located on Terlingua Ranch – the fence is the boundary between Terlingua Ranch and Big Bend National Park – and, while it’s not obvious in this picture, the area resembles what you might imagine the surface of the moon to look like. It also provides a fine view of the distant Chisos Mountains.